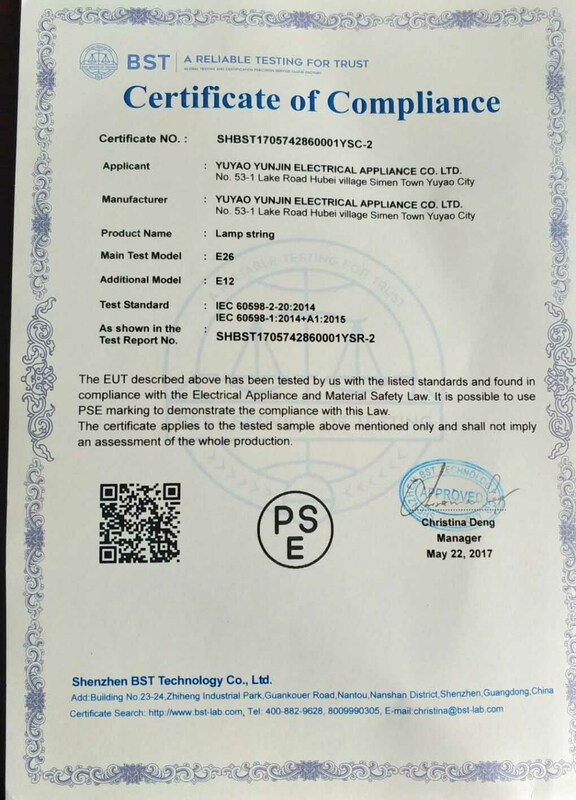 Company Overview - Yuyao Yunjin Electrical Appliance Co., Ltd.
2YRSYuyao Yunjin Electrical Appliance Co., Ltd.
Yuyao Yunjin Electrical Appliance Co., Ltd is a manufacturer specializing in string lights ,power cords,wire harness,automobile fuse take electrical appliances and accessories. As an integrating group of industry and trade, we can provide you complete service, showing you a convenient and pleasant purchasing experience. From product design, packing design, to production, inspection and transportation, we own independent professional team in each link and guarantee a high-quality service to you. 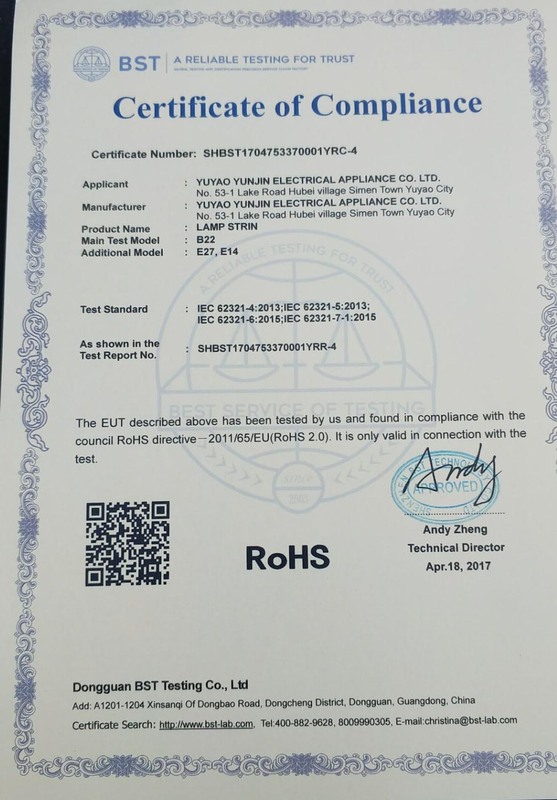 Many of our products got CE, RoHs, PSE,UL and SAA certificates. 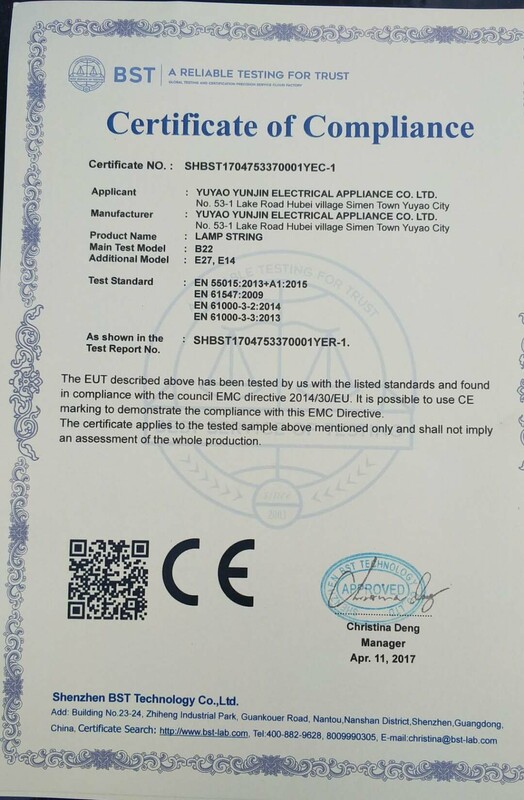 With professional testing personnel and advanced testing equipment, we do guarantee the quality control for you. 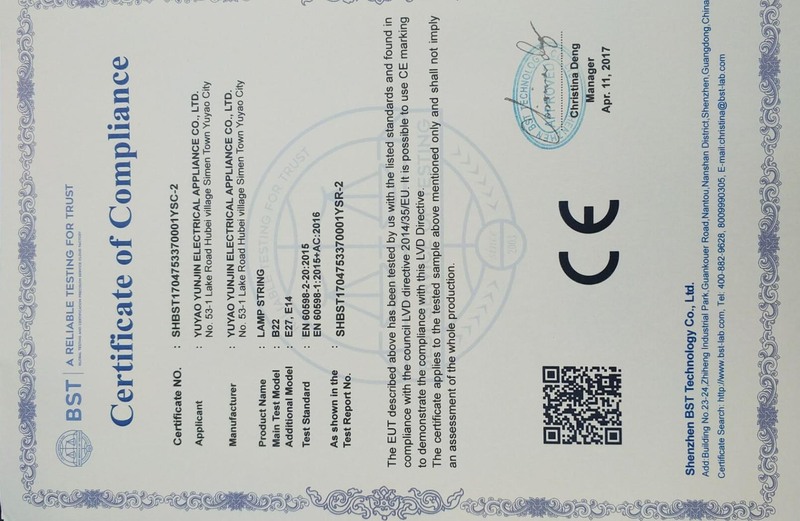 All these help our products enjoy a good reputation all over the world. Our aim is to bring a brighter and more beautiful world to you, and let more green stay in our life. We sincerely invite you to contact us for business cooperation.